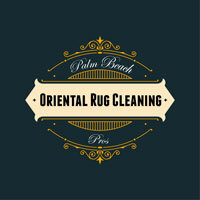 At Palm Beach Oriental Rug Cleaning Pros can clean your area, Persian and Oriental rugs, as well as the other types of rugs you may have in Boca Raton, FL. When it comes to your rugs, we take the greatest care. 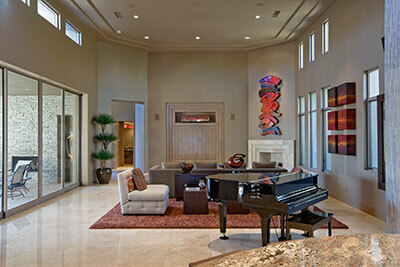 In cleaning your rugs, we make sure to first determine the type of rug you have. This involves examining how the rug was woven together, the glues used to hold the rug together (some rugs do not use a glue to keep the weave together), the fabric type, and the type of dye used for coloring the fabric. This allows us to make sure we use the proper cleaning solutions that will be tough on the dirt but not on your rug. Then we'll clean your rugs using a method similar to our carpet cleaning process. While you should have the rugs in your home cleaned periodically by a professional, there are a few things that you can do which will help keep your rug looking great. First, just like carpets, vacuuming a rug weekly will help keep dirt and grime from getting pushed deep into the fiber. It may also be wise to vacuum the back of the rugs in your home a few times a year. Another step to take, since most rugs are on a hard surface, like a hardwood floor, is sweeping the floor often, which reduces dust that could gather onto the rug. Since you want to protect the surface underneath the rug as well, use a non-slip pad to prevent the rug from scratching and damaging the surface. This also helps with preventing falls caused by a rug sliding out from under some one. Lastly, if a spill occurs on your rug, make sure that both the floor underneath the rug and the rug itself are completely dry before putting it back onto the floor. The history and origin of rugs goes back as far as 5,000 years ago when people wanted something to make the cold dirt floors warmer. The design of rugs has evolved drastically from those first rugs made, but much of the materials used to make rugs and their uses hasn't changed as much. Many area rugs are still made from wool and are used to help make the floor in your home warmer and more inviting. There are many types of rugs, as well as materials that are used to make them. Rugs can be made from natural materials-such as wool, synthetic materials-like acrylic fibers, or a combination of the two. The same applies to the coloring or dyes used to bring color to a rug. That's why it's important to have a professional cleaner come in and examine the area rug to determine the best cleaning process. Area rugs come in all sorts of shapes and sizes. 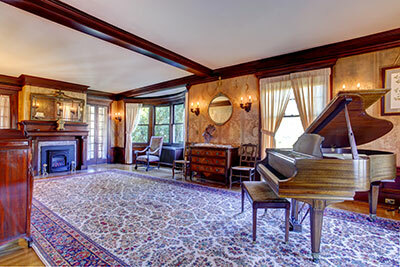 But the more expensive types of rugs are the Persian and Oriental rugs. The difference between the two is important to note. Oriental rugs are made in countries within Asia, while Persian rugs are made exclusively in Iran. Since a Persian rug is made in Iran, it's also an Oriental rug. This means that a Persian rug is an Oriental rug, but an Oriental rug might not be a Persian rug.